So I have once again had a go at Flash! Friday. This is what I came up with from the picture I was given. You can check that at the flash Friday website and have a go yourself! Pushing my way through the crack in the window, I escape the direct burning rays of the sun, and the gawping beaks of soaring birds. Clambering across the dust and dead flies on the ledge, I rest myself against the window frame. I look into the building I’ve entered, and see humans. They all sit on separate chairs facing the front, looking down to their desks. I shoot my web onto the ceiling and then lower myself down onto the floor. As I walk across the floor, dodging the bails of rolling dust, I climb up onto the chair to find another spider, like me. I don’t know why I decided to write this, I hate spiders!! I decided to take part in Flash! Friday Fiction for the first time yesterday! What Flash Friday does, is weekly upload a photo for users to write a 150 word creative piece. I thought it would be fun so I gave it a go. Admittedly, my piece may not be that great, but what can you do with 150 words which is a first draft and written in a small time scale? Not too much, but I gave it a go, some people had some great ideas and produced good writing. “Gravel crunches under my feet. The gentle breeze smothers my surroundings; making the leaves above me chafe, the barbed wire fence scrape against the wood, and press my orange robe against my body. I amble whilst staring at the wicker huts and small mountains ahead of me. Birds glide above me in the dark grey overcast. Slithers of glowing light occasionally bursts through the clouds lighting the dim skies. A deep roar sounds in the distance and echoes towards me, chattering the specs of dusted gravel by my feet. My eyes glance back to the path, lapse of concentration will kill me. A man in a black robe stands not far from me, his head hidden in the darkness of his hood. I slip my arm into my orange robe and feel the handle of my sword. Feel free to let me know what you think of my piece. I will definitely have a go at Flash! Friday fiction again when I can and maybe you should too? It is on a wordpress blog, just google flash Friday fiction. Sorry for the cheesy title… But today is the last day that my book Endurance will be free on Amazon!! Go to Amazon and don’t miss out on a free copy of Endurance. If your wondering whether it is worth having a read, this is some of the things being said about Endurance right now on Amazon! “I have enjoyed Endurance and look forward to reading his other books, it is nice to be submerged in a story . “This book isn’t the genre I usually read. However, this book is highly readable, good characters, and lots of twists and turns throughout the book. These are honest reviews from readers I do not know and I would personally like to thank them for their time and I am so glad they enjoyed it! Who knows, you may enjoy it too so go get your free copy of Endurance, now! Endurance is free right now so get your free copy from Amazon. Endurance is free today on Amazon. Do go get a free copy now! Endurance is free now on Amazon for eBook and Kindle. If you like horror, mystery thrillers, science fiction, dystopian and don’t mind gore, then Endurance is for you. Tom Williams is left in disarray after London is obliterated. He’s left alone, fighting for survival and searching for survivors. Will Tom end the calamity and restore normality in London? Why not go to Amazon now and get your free copy and tell your friends! Endurance will be free tomorrow! Endurance will be free on Amazon for eBook and Kindle TOMORROW right up until Friday the 22nd of November. Why is it free I hear you ask? No reason, it just is. I did a freebee for Halloween but it didn’t last long enough so now I’m making my book ‘Endurance’ free tomorrow so you can get your hands on a copy for your Kindle. So go get Endurance free tomorrow and let your friends know about this free deal. 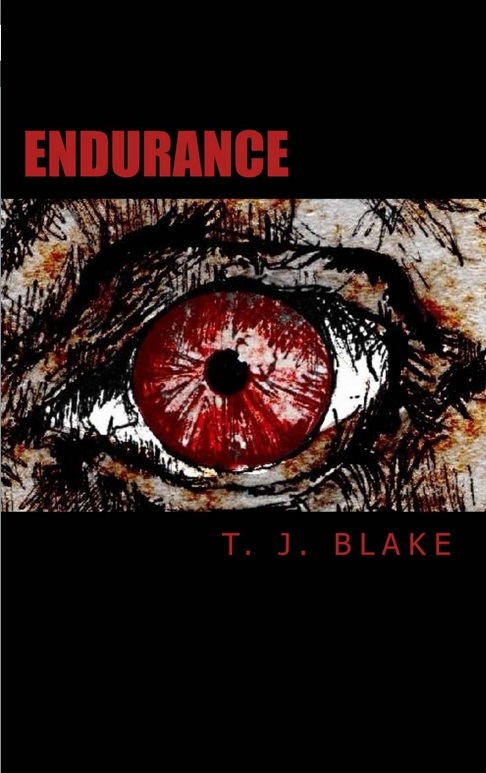 If you’re wondering, Endurance is a horror, mystery and dystopian novel. I have officially started writing the next instalment of Endurance, ‘Endurance: Apocalypse’ (Endurance 2). For those of you who have read Endurance, it will be as gory, as action packed and I hope as unpredictable! I’m writing it when I can, hoping for it to be completed early(ish) 2014! I also have a new mystery thriller book idea which I am developing at the moment. I could possibly begin writing it at the beginning of next year. I do however have two other book ideas as well as the mystery thriller idea to pick from so we shall see what I decide to write. Who knows I may need to ask the opinion of you to help me decide. So, very exciting prospects for the end of 2013 and beginning of 2014, with my next book ‘The Author’ coming out hopefully within the next few weeks and possibly ‘Endurance: Apocalypse’ out at the beginning of next year, and then more writing with my 3 other book ideas for the rest of 2014 and maybe 2015! Endurance was given a new 4 star rating on Amazon.co.uk to give it an average of 4 out of 5 stars on Amazon UK.